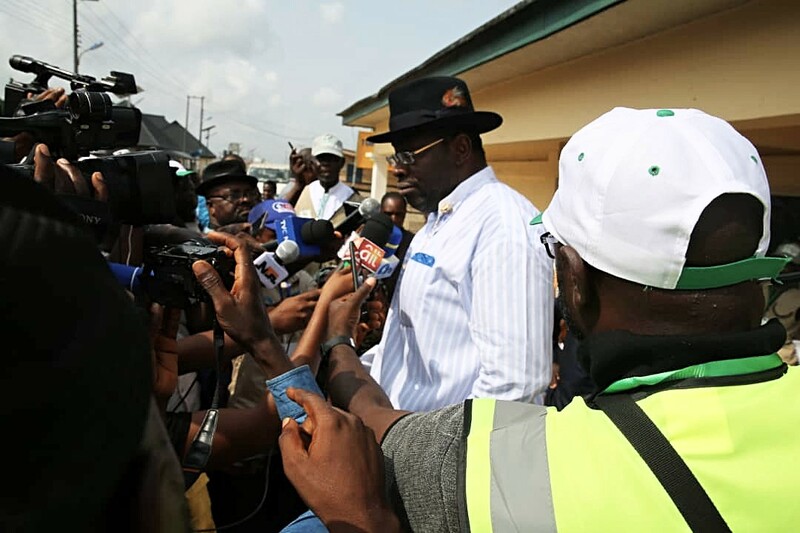 The All Progressives Congress (APC) in Bayelsa State has accused Governor Seriake Dickson of raising false alarm about violence during Saturday’s presidential election in the state to conceal his own violent attitude to the poll. The party in a statement signed by the State Publicity Secretary, Mr. Doifie Buokoribo, blamed Dickson and the People’s Democratic Party (PDP) of crisis arising during the election in the state. Buokoribo who said neither APC leaders nor supporters had anything to do with violence or illegal activities during the elections, accused Dickson of trying to divert attention from his plots towards the elections by making hasty allegations against the party. The statement reads: “The All Progressives Congress (APC) in Bayelsa State is highly disappointed but hardly surprised by the outrageous remarks of Governor Seriake Dickson during the presidential election in the state on Saturday. Dickson was quoted by some online media of accusing the APC of sponsoring violence, without any proof, and purely based on hearsay, even by his own admission. “We have always known that crying wolf is a fancy act performed with outrageous ease by Dickson. But accusing APC of violence after openly unleashing his security strike force, Operation Doo Akpo, on the state to intimidate the electorate during the presidential and National Assembly elections is the height of indecency by a governor who ought to be the state’s chief security officer. “Dickson’s character of raising false alarm to try to cover up his political machinations is well known to all, and we are happy the people are just not going to believe him. “But just to set the record straight, APC and its leaders have neither involvement nor interest or desire for any form of violence during or after the general election. We are a party of peace and peaceful people, and no amount of provocation by Dickson and his co-travellers will make us deviate from the course of decency and democracy. “Moreover, it is foolhardy for anyone to imagine that APC, whose President Muhammadu Buhari, by every indication, is going to sweep the poll would encourage anything that could disturb their imminent celebration.